Can Diabetes Be Cured? | Can You Get Rid of Type 2 Diabetes? Can you get rid of diabetes or is it a myth? Learn the facts! 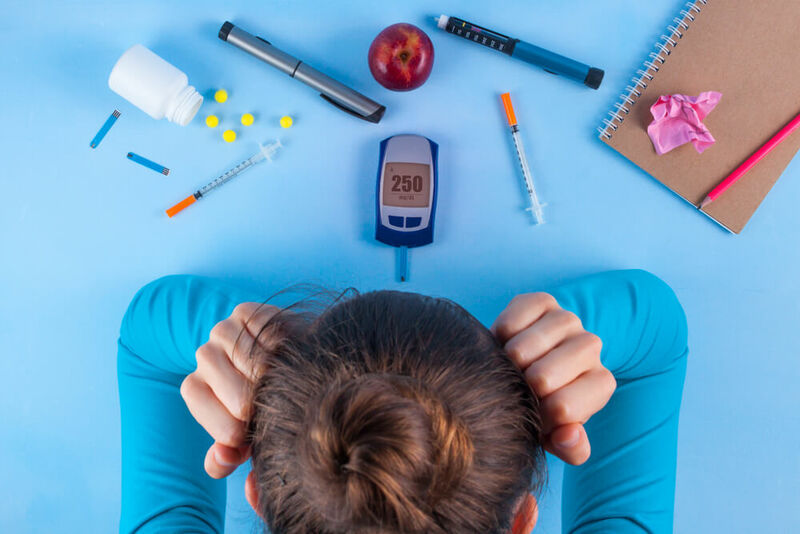 People who are diagnosed with diabetes usually ask the question, “Can diabetes be cured?” The response from medical professionals is that diabetes can be managed, and in some cases, even go into remission. So, the question of, “Can you get rid of diabetes” may be a resounding yes depending on your situation. Type 1 diabetes develops when the cells in the pancreas that produce insulin are destroyed. Insulin is a hormone whose vital function is to maintain the proper level of blood sugar (glucose) and salt in the body. Individuals with type 1 diabetes can no longer produce insulin in their pancreas. Type 2 diabetes occurs when the body produces insulin, but has difficulty processing it; this is called insulin resistance. Because the insulin is being mismanaged, the body will continue to keep producing it and eventually there is an overload of sugar in the blood. Can You Get Rid of Diabetes? A Partial Remission is when an individual diagnosed with diabetes experiences a lower level of blood sugar than that of a diabetic, for a period of at least one year without the use of diabetes medications. A Complete Remission occurs when the individual’s blood sugar levels return to normal (beyond pre-diabetic), for at least one year without taking any diabetes medications. A Prolonged Remission means that the individual has experienced normal blood sugar levels for at least five years. Diabetes can be cured or may go into remission with specific treatments. Individuals with type 1 diabetes have experienced remission by continuing to inject themselves with insulin. Learning how fast the insulin begins to work in the body and how long it will stay active is something the diabetic should be able to determine with time. Fast acting insulin begins to take effect in the body from 5 to 15 minutes after injection, and can last anywhere from 3 to 5 hours. A slower acting injection of insulin can begin to take effect within 30 minutes to 1 hour, and can last anywhere from 6 to 8 hours. Long acting insulin injections can last from 14 to 24 hours, and take effect within 1 to 2 hours after injection. How Can You Get Rid of Type 2 Diabetes? Lifestyle changes can have a huge impact in reversing type 2 diabetes. Obesity and dietary intake play a significant role in type 2 diabetes. Can you get rid of type two diabetes symptoms? Yes, especially be keeping a vegan diet. Research has indicated that a vegan diet can prevent, and may reverse, type 2 diabetes. Weight loss is the number one factor in reversing type 2 diabetes. Developing a personalized exercise routine. Taking medication that controls glucose levels. Research shows that diet and exercise can reduce the risk of developing type 2 diabetes by up to 58 percent, and a weekly diet and exercise routine can successfully manage and even possibly reverse diabetes symptoms. How Can You Get Rid of Diabetes with a Lifestyle Change? To begin your journey back to good health, begin with a moderate exercise plan, such as brisk walking, bicycle riding, or swimming, for thirty-minutes, five days per week. Also, eat a healthy diet by eliminating carbohydrates and sugar, and eating more fiber and protein to help regulate blood sugar. A good diet for diabetics should include fruits, vegetables, protein, whole grains, fish, nuts, low-fat dairy, etc.